What has brought best-selling lesbian novelist Virge Young to this day—to an intensive care unit where she hovers between life and death from a gunshot wound? The road begins in 1969. Virge is thirteen. Dominant in her world are her inflexible, dogmatic father, her rebellious brother, and a mother who tries her best to run interference among all of them. Ricki Ann is Virge’s best friend—more than her best friend. Complicating matters between them are a profoundly conflicted young man named Ronnie Lane; Virge’s secret African-American friend Mel; and a fire and brimstone preacher named Pastor Bob. Also impacting young Virge’s life are holocaust survivor Mrs. Rosenbaum, notorious Great Aunt Belle, a girl named Leigh Ann—and other memorable figures you’ll come to know along Virge’s road to identity and self-affirmation, especially a woman named Ruth. Backslide is about love and forgiveness and the capacity for growth and acceptance; Backslide is about courage in the face of relentless opposition. Backslide is above all a great story told with sublime artistry, with tenderness and depth. Backslide is destined to be a classic. A compelling and unusual story about a lesbian teenager. By the author of Getting to the Point. 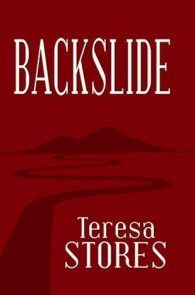 Backslide: Finalist, Best Lesbian Dramatic Fiction. Charlotte Abbott, October, 2008:Threaded throughout Virge's struggle for self-confidence are vignettes from her 25-year high school reunion, where she encounters many former classmates. Some of these meetings are more emotionally satisfying than it might be reasonable to expect from real life, and some lose their punch amid lengthy flashbacks. But by the end of the novel we don't doubt Virge's hard-won self-acceptance, or that it came both because and in spite of her upbringing. Andrea L.T. Peterson - March, 2009: Backslide, predicts Kathering Forrest, "will be a classic in our literature." And when it is, it will be because of the author's unique perspective on the considerably less unique journey of a rather typical (though lesbian) teenager, Virge. 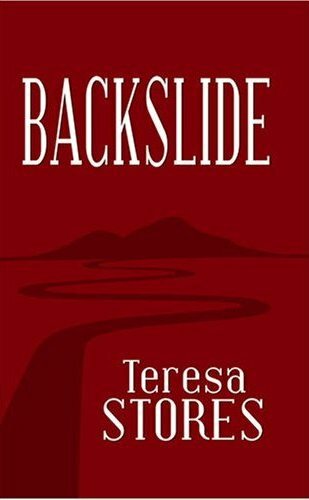 Appropriately titled Backslide, Stores hits on some of the main themes of contemporary religion: sins, redemption, hypocrisy and salvation. Lynne Pierce - October, 2008: This isn't a simple romance or mystery that lays out its plot in a linear fashion and just takes the reader along with it. Backslide is more like a jigsaw puzzle where pieces are put into different areas of the puzzle in random order and then they come together to create the whole picture. The lessons it teaches are about growth, forgiveness for past injuries, learning to accept people who are different from you, and that there are people who will not achieve any of these realizations.